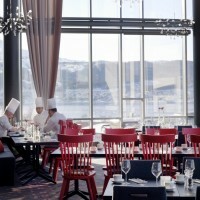 Scenario Interiørarkitekter have completed the interior design of the Rica Hotel Narvik in Norway. 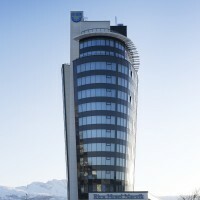 Rica Hotel Narvik, Northern Norway’s highest building. 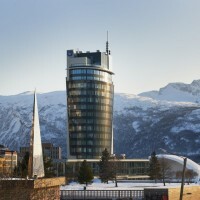 The architectural form that towers over 18 floors gives this hotel a wonderful view of the city, the fjord “Ofotfjorden”, the Mountain “Dronningen” and the other surrounding mountains. 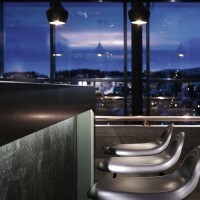 Rica Hotel Narvik has a stylish interior that takes up the exciting exterior of the 148 luxurious and spacious guest rooms, all-day restaurant, 1 floor sky bar with panoramic terrace on the top floor. The hotel arranges for business travelers with eight functional meeting rooms, where the largest room has a capacity for up to 175 people. 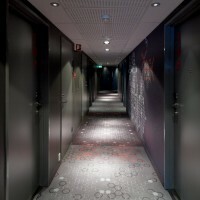 Rica Hotel Narvik is designed for full universal access. 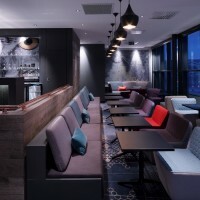 It was important for the client that the hotel was a place where everyone feels welcome and comfortable; skiers, participants, business travellers, weekend visitors and residents of Narvik. 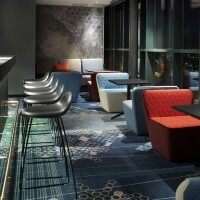 Hotel facilities such as restaurant, meeting facilities and sky bar are equally available to guests as the residents of the city. 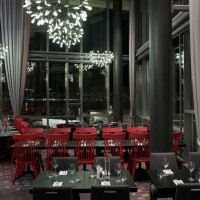 The interior has a modern look that plays on the natural elements found in Narvik. 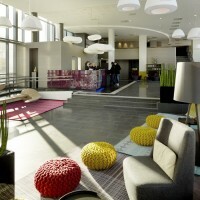 The client wanted a modern and colourful hotel, which also have a nice and warm atmosphere. This was our brief when we started this process. Inspiration is drawn from nature, where you will find neutral base colour and bright colour accents and wood. 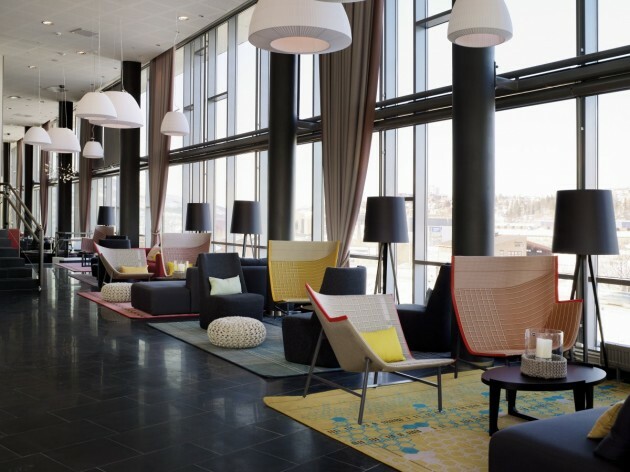 Along with large graphic patterns in vibrant colour combinations in both carpets, wall patterns against the wooden look , we “break” up the tight style of the exterior of the building, to create a calm, warm and colourful atmosphere inside. 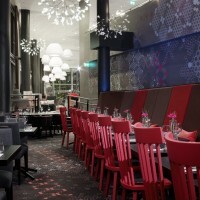 The furniture is mainly modern and clean with bright colour combinations. We wanted an expression that was playful and informal. 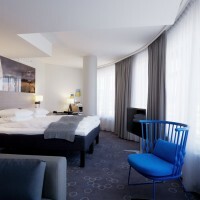 Comfort, durability and of course the design was essential elements for selection of the furniture. 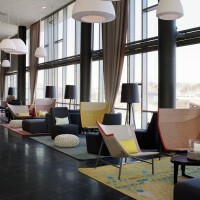 By choosing different suppliers for the furniture, the hotel comes through as a unique hotel. 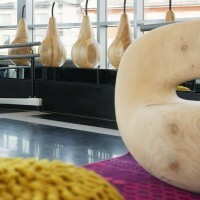 To mention some of the suppliers that contributed; Moroso, Gervasoni, Rafemar, Andreau World, Pedrali, Moooi and Hay. 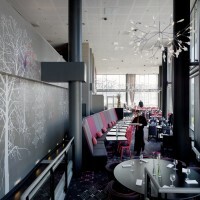 The Client chose to work with local artists for art & decor, for both rooms and common areas. The hotel is in a central part of town, and it was important that there was also recognizable in the interior & to have some of it´s history.